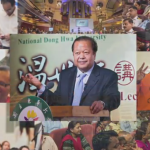 On May 18 Prem Rawat spoke at the prestigious Convitto Nazionale Vittorio Emanuele school in Rome, capping an event that aimed to develop a culture of peace among young people and teachers. The program was beamed through a live video feed to over 4,100 students in 70 classrooms at four similar schools in Italy. Convitto Nazionale is a signatory institution to the Bruxelles Declaration known as the “Pledge to Peace.” As part of that declaration, Mr. Rawat was appointed in the Italian Senate by the First Vice President of the European Parliament Gianni Pittella as an “Ambassador of Peace” and had previously addressed the school in 2012. Since then Covitto Nationale had extended an open invitation to Mr. Rawat, and his return came as part of an effort to support the Bruxelles Declaration and invite UNESCO schools to collaborate on a new peace course. Prior to the event, the Rector of Convitto Nazionale invited Mr. Rawat to a meeting with teachers for an informal discussion. One of the questions concerned building trust with the younger generation. Mr. Rawat suggested that educators needed to focus on helping them realize their potential. Teachers, he noted, are tasked with great responsibility and can play an important role in helping build a better future. To help achieve this goal parents should show more respect to teachers, he said. The main event was entitled “Peace in the Classroom” and Mr. Rawat told the students to make peace a priority in their lives. 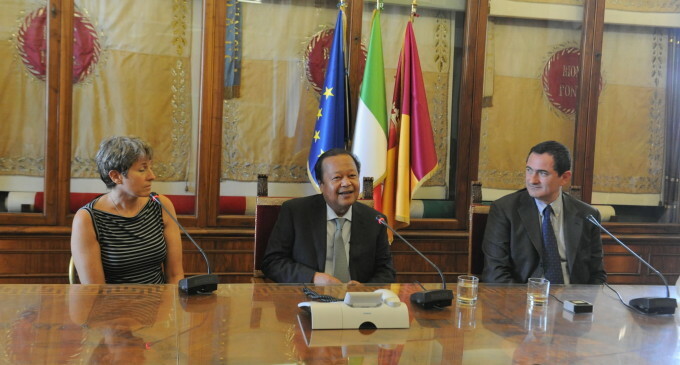 Mr. Prem Rawat, Ambassador of Peace, was received today in Campidoglio. The 58 year-old Indian is known for awakening awareness of friendship between communities and for his commitment toward promoting human rights. 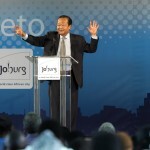 Mentor and main inspirer of the Brussels Declaration’s “Pledge to Peace,” he was awarded with the “Asia Pacific Brands Association’s Brand Laureate Lifetime Achievement” honor and many other awards. Mr. Paolo Masini, Councillor for Schools with a mandate for Interreligious Dialogue, received Mr. Rawat at Sala delle Bandiere in Campidoglio. During the meeting, Mr. Rawat addressed delegates of associations involved in promoting the topic of peace and introduced the Peace Education Program (PEP). 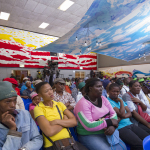 The program is promoted by his Foundation and has been recently presented at public libraries in Rome. At the end of the reception, the Councillor awarded Mr. Rawat the silver cup of Roma Capitale–the symbol of the Roman spirit of friendship and the religions calendar, made by Religions for Peace Italia and the Department of Schools, Sport, Young People Initiatives and Participation. Peace for People 2015: Today is Peace Day!